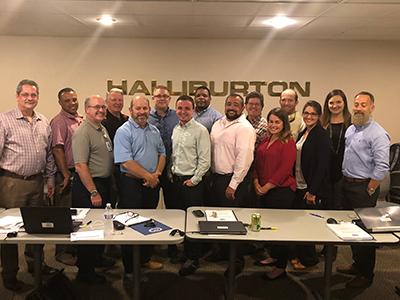 On May 22-24, 2018, employees from Halliburton received their API Q2 Lead Auditor Training Certificates from QSI at their facility located in Lafayette, LA. “Good case studies. Excellent engagement with entire class.” – Alfred L.
“The instructor’s knowledge was impressive. All the real life examples given were helpful and allowed for an easy understanding of the content.” – Mauricio M.
“Unique and valuable training. I’ve had several courses for auditing and none covered the material in this way. Gives me a new perspective for auditing.” – Phillip C.
“The course is developed to attack entry and advanced audience. The case studies help develop mature understanding of material.” – Rusty C.